Now that we've passed the March 31 deadline for people to sign up for insurance under the Affordable Care Act, the question needs to be asked: Is Obamacare failing? While the new healthcare law was passed in 2010, most of it went into effect Jan. 1, with the first Obamacare enrollment period running from Oct. 1 through yesterday (Monday). As Obamacare passes this major milestone, we decided to measure the law's success by the goals that the Obama administration set and the promises it made. The primary goal of the ACA was to make sure that the 45 million Americans without health insurance could get it. While a last-minute push appears to have gotten the number of people signing up close to the 7 million Obama administration officials said they wanted, it's hard to say exactly how many of these folks lacked insurance before. Certainly, some of the people signing up through the Obamacare exchanges were among the 5 million who lost their coverage when their plans got canceled last year for not being compliant with the law. And a survey by the McKinsey consulting firm earlier this month found that just 27% of the enrollees were previously uninsured. Goldman Sachs estimates that just 1 million of the enrollees will have been previously uninsured; their number is so low because they believe as many as a third of the people who selected a plan at an exchange have not paid the premium – and thus are not yet covered. One bright spot has been a spurt in the number of people signing up for Medicaid; Obamacare greatly expanded eligibility for Medicaid in an effort to get coverage for those who could not afford insurance before. These numbers could be better, but many Republican-governed states have refused to participate in the expanded program. The final overall count won't be in for a while – and even then, it will be disputed – but so far Obamacare has done a so-so job of getting the uninsured covered. The Congressional Budget Office says that by 2017 the number of uninsured will be 30 million and inch back up to 31 million by 2024. That's much better than 47 million, but it still leaves more than half of the law's target population without coverage. I LOST MY POLICY. PERIOD. I GOT NO 2500 SAVINGS PER YEAR. PERIOD. can i believe anything else coming out of this white house??? as a life long democrat i suggest the obama administration and democratic senate scramble to grunt obamacare into the toliet and flush it like you would any unwanted feces. it's that bad. if they can not see this, they are in denial and doomed to being the minority party in the future. take care of the few that have no insurance and get out of the way for the rest. why are you screwing 90% to help the 10%??? no $2500 dollar savings for anyone i know. most are double triple increases, unless you are poor or illegal…. and on medicaid that gives substandard care. time to wake up my fellow democrats……time to wake up. Amen Jake. You said it all. I resolved my healthcare issues, I moved to Costa Rica where the healthcare is actually superior to that in the US. In the US the doctors are on the PHARMA/insurance company treadmill, and patient care is secondary. And my cost for healthcare? $75 per month, including prescriptions. Perhaps the fact that waiting rooms here do not resemble the lobby of a Ritz Carlton lowers cost. In my 70+ years, I have seen the benefit of the government intrusion into private enterprise. Countless small town hospitals have been closed over the years due to regulation imposed by the gov., that became too burdomson to do or cost too much. When the Government "gives us something", there are strings attached, usually in the form of regulation. We have not listened to the medical profession when they tell us how much it costs to deal with all the red tape involved. Also tort reform is something else to be considered. And when you have a pack of lawyers making ouir laws we have live and deal with, guess where that ball is going to wind up. Just thinking!! LOL …. what a pile of rhetorical garbage …. You Republican pundits are a joke. "Some health care officials" … and ….. "could" increase …. and all this other speculative negativity with no real evidence of anything…. I give you an F grade for lack of real research and honesty. 27% new signups … that's a lot of people that have benefited already… everything takes time to work , especially when there is so much rhetorical opposition by the idle rich and idle rich wanna be's .. that in reality will remain poor just by the idiots they vote for. Retirement is a time of change for an increasing number of people. As baby-boomers retire, 10,000 people a day will become Medicare Eligible. This will continue for the next 20 YEARS. More changes are coming. Either Medicare and Medicaid are reformed, along with other Federal entitlement programs, or they will go bust. Eventually, benefits will have to be reduced or tax revenue significantly increased. Pretty hard to do with a aging population and fewer in the workforce. So, medical care for seniors is not going to be improving in future years. Costa Rica is a popular place with American expats, especially Northern Costa Rica. Accordingly, property prices and real estate taxes have increased in recent years. More change. Costa Rica's Standard of Medical Care is not quite up to the U.S. Standard. Costa Rica is still a notch below in quality and standards of medical care, but it is much cheaper. I'll give you that. 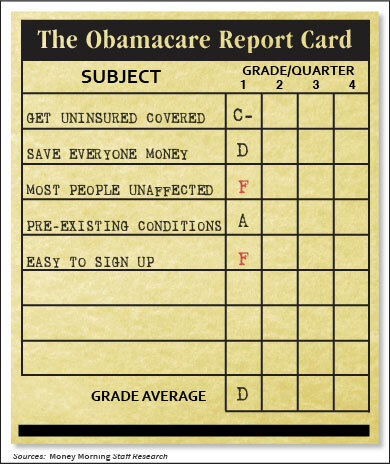 Obama Care should equalize standards of care with Second World countries in a few more years. Mo Change! REAL DEAL OR (LOSER) WANNABES? How about all the (Democrat) Wannabe 1%ers on this and other similar websites? New, flashy cars on 3 year, closed-end leases. House payments (underwater?) on a $1-$2 Million Dollar house, paper wealth of less than $1 Million, and a big income (Maybe up to $200,000/year household income) to pay for all the private indebtedness. Plus, 39% Federal Income Tax Bracket, 10% State Income Tax Bracket, 20% Capital Gains Tax on any real investments that are cashed-in. I am SO unimpressed!